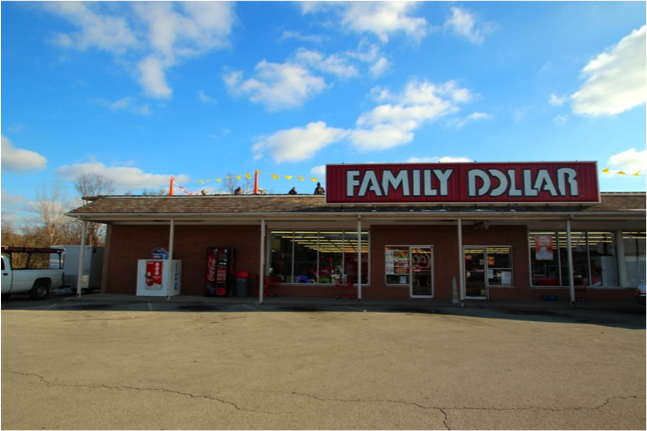 The Park Lane Shopping Center in Carrolton, Kentucky is home to a diverse group of businesses, including Family Dollar, the county branch of the Kentucky Office of Employment and Training, and local business Rand Insurance Agency. When tenant leases were in danger due to a leaky roof, the building owner called Exterior Pro Roofing. The shopping center’s 15,000 sq. ft. metal roof sprang leaks because of a previous, patchwork coating and caulking job. Metal roofs expand and contract more than those made from other materials, and coatings and caulkings (even when properly applied) only remain sealed for a short time. The roof was leaking at its pipe stacks, seams and screw heads. Roof maintenance is the owner’s responsibility, and the leaks jeopardized the lease agreement with at least one tenant. The building owner needed high-quality repairs that would guarantee the roof’s integrity for years to come. Exterior Pro Roofing recommended a metal roof retrofit instead of a new metal coating, or a full tear-off. 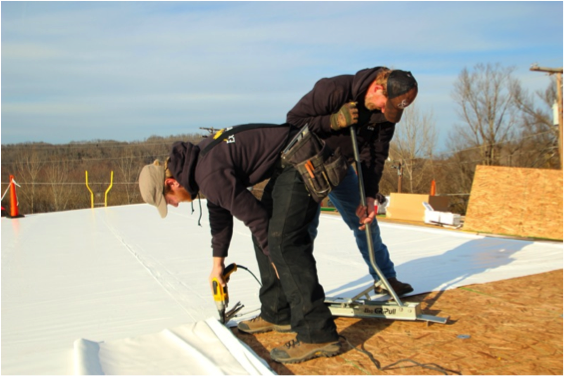 In a metal roof retrofit, new membrane is laid over an existing roof deck. 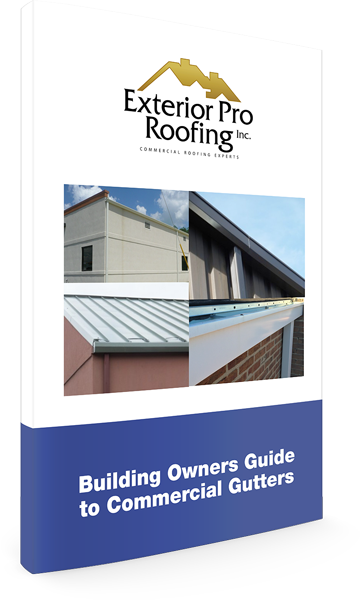 The metal roof retrofit procedure actually costs less and lasts longer than a metal coating job or full tear-off. A metal coating job does not last long on metal roofing. A full tear-off and roof replacement costs 2 to 5 times more than our metal roof retrofit. It also requires insulation replacement—driving up costs. There are other metal roof retrofitting benefits, too: Duro-Last® membrane was used for this retrofit. It’s durable, comes with 15- or 20-year warranties, and passes third-party inspection. A white membrane was chosen to better reflect sunlight—a measure that also saves the building owner money on energy costs. The shopping center’s businesses stayed open and operational during repairs, thanks to intelligent planning. We hoisted the Duro-Last® membrane to the shopping center’s roof with a boom truck, which sped up installation. The entire job took four days with a four-man crew. Metal roof retrofits like these are low impact, cost-effective and fast. 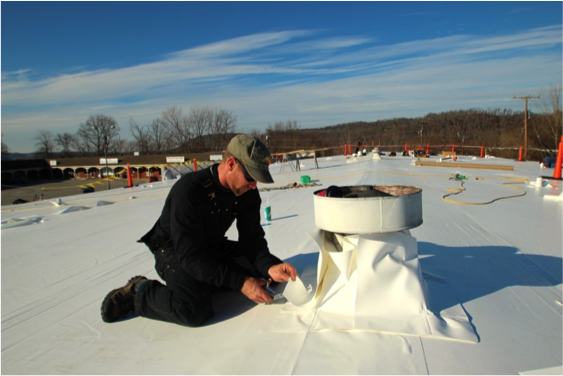 The Duro-Last® membrane used for these types of retrofits is durable, cheaper than replacement roofing, and can save customers significant money on long-term energy costs. All in all, the customer was pleased with Exterior Pro Roofing’s expert metal roof retrofit. More importantly, they were pleased to have a high-quality, leak-free roof without disruption to their tenants.